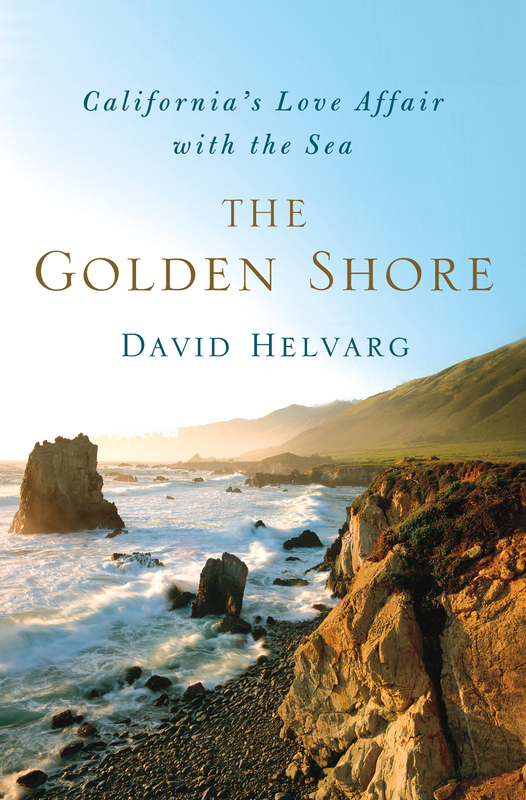 No one has done more to educate the public on ways to preserve our coast and ocean than David Helvarg. 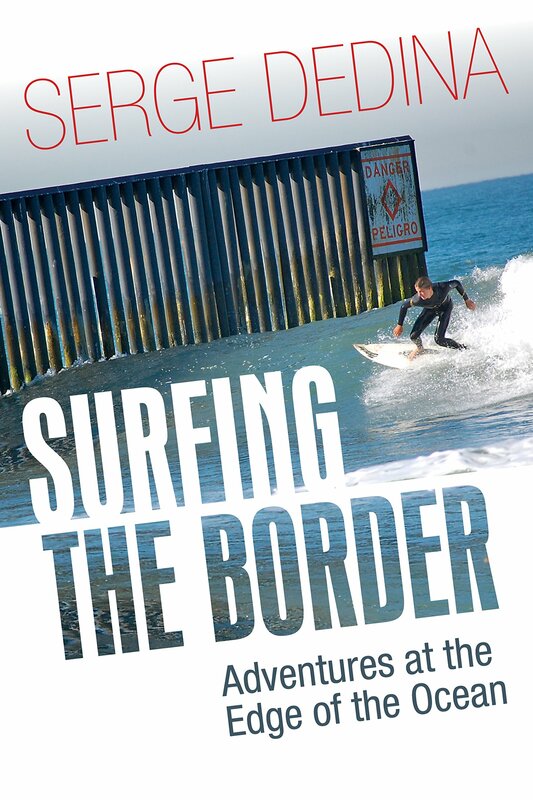 Author of six books and the founder and Executive Director of the Blue Frontier Campaign, Helvarg will be speaking about his newest book, The Golden Shore: California’s Love Affair with the Sea at the Birch Aquarium on Tuesday Feb. 26 from 6:30-8 p.m.
Serge Dedina: What is your first memory of the coast in California? David Helvarg: Flying into San Diego at night to help out some friends in trouble in the Ocean Beach neighborhood and then staying up ’til dawn watching the Pacific lapping on the shore, small breaking wavelets sparkling with silvery luminescence. Two days later there was a concert on Sunset Cliffs. Watching the young OB residents dancing on the beach and wading into the bracing 68-degree water where silky-haired California girls in bikinis were tossing Frisbees, I knew I’d come home to a place I’d never been before. Dedina: What does the coast mean for California? 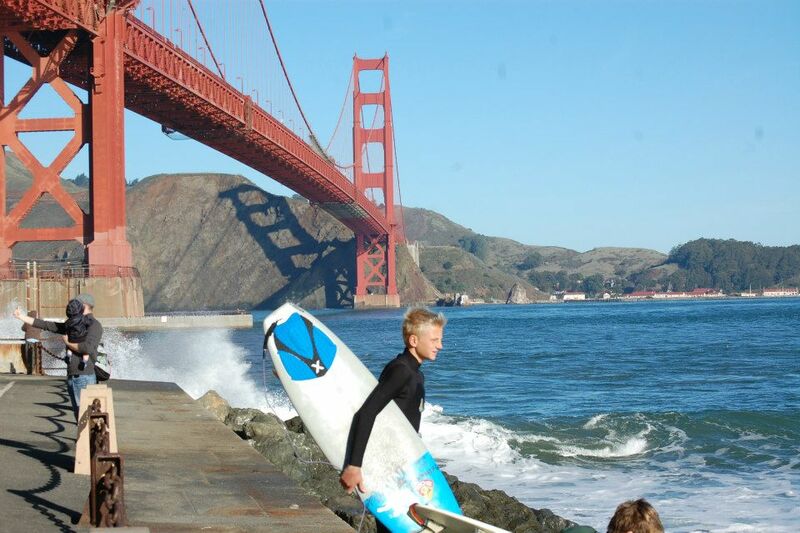 Helvarg: The Pacific defines California and its spirit of adventure, exploration and enterprise. Teddy Roosevelt called California “West of the West.” It’s where U.S. expansion ended, but not the promise, where the frontier turned to liquid and a gold rush and World War transformed the golden shore. Without the ocean and coast, California is just a long skinny, seismically active clone of Nevada. Dedina: What did Jack London have to do with the development of surfing in California? Helvarg: Jack London arrived in Hawaii in 1907, saw the Hawaiians surfing at Waikiki and tried it himself. He was so taken with it, he wrote an article in the Women’s Home Companion (and a chapter in his next book), titled, “A Royal Sport” displaying the kind of unbridled enthusiasm for surfing he usually reserved for brave dogs. This was the first mass-media reporting on surfing on the U.S. mainland. He also wrote a letter of recommendation for Hawaiian surfer George Freeth, who used it to find work in California, where he is often credited with introducing the sport to the state. Dedina: Sometimes we overlook the role of the military transforming our ports and managing our coast. How have our armed forces aided in the development and conservation of the California coast? Helvarg: It started with the Navy and Marines seizing California from Mexico and expanded with the military port towns of San Pedro and San Diego (today SD remains the second largest naval complex in the U.S.). The war in the Pacific transformed California during World War II with millions of Army and Navy personnel training and deploying from here. California also became a major industrial war producer with its shipyards and aircraft factories. Population increased, and the state became a center for the aerospace industry during the Cold War that followed. The Navy even jump-started the electronics industry in Silicon Valley. Today the Navy is working on reducing its C02 emissions by half in the next decade. Working on my book, I visited a new amphibious assault ship that burns one third the fuel of other ships of its class in a massive combat training zone off the coast. Dedina: What was the role of the 1969 Santa Barbara oil spill in developing our California coastal protection system? Helvarg: California was where the first offshore drilling was done on piers near Santa Barbara. And because of blow outs and oil pollution Santa Barbara banned drilling off its beach till 1969 when the federal government promised new technology made it safe. Within days of the first wells being drilled there was a massive blow out and oil spill. Three years later, still shaken by the spill’s impact, the people of California voted to create a Coastal Commission to protect our shore even though opponents of coastal protection (real-estate interests, PG&E and the oil companies) outspent its supporters 100 to 1. Today, 30 years later, the commission continues to limit reckless development along the shore while guaranteeing public access to our spectacular coastline. Dedina: What is your favorite place along the California coast? Dedina: Is the Coastal Act still relevant? Do we really need to worry about protecting our coast anymore? Helvarg: To Quote Peter Douglas, who wrote the act and headed the Coastal Commission as executive director for many years, “The Coast is never saved, the Coast is always being saved.” The Coastal Act is for California what the Clean Air and Clean Water Acts are for the nation. Dedina: California institutions such as Scripps lead the world in ocean exploration and research. How did California become a pioneer in marine research? Helvarg: Appreciating what we had and how little we understood it, George Davidson began exploring the marine frontier that was California in 1850. The newly established Stanford University set up the nation’s third-ever marine lab, the Hopkins Seaside Lab in 1892 and the Scripps family in San Diego supported zoologist Bill Ritter in creating another lab a few years later that became the Scripps Institution of Oceanography. Today, California marine science is leading the world in understanding marine ecosystems, marine wildlife, upwellings, ocean acidification and other anthropogenic (human-caused) changes in the world ocean. Also exceptional is the fact that state ocean and coastal policies are driven by the best available science. Dedina: How has the the mythology of the beach and the coast in California defined or influenced popular culture in the U.S and globally? Has Hollywood played a role in that? 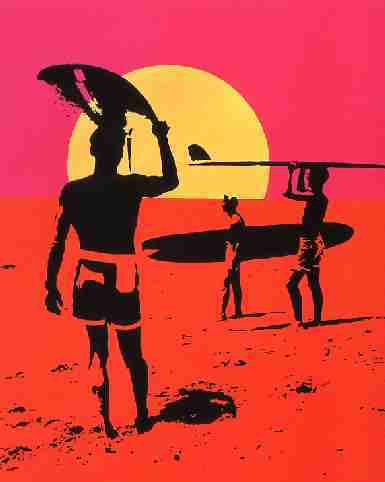 Helvarg: From Gidget and The Endless Summer, to Sea Hunt, Baywatch and The OC, not to mention surf music and language, dude, California has taken on a mythic place in world culture. Southern California’s major industries are maritime, military and fantasy (Hollywood) and so they mix naturally along the shore. But that’s nothing new. When Richard Henry Dana wrote, Two Years Before the Mast in the 1830s, his tales of life along the California coast fascinated the nation and that sense of wonder, envy, inspiration and interest has yet to fade. Dedina: What is the purpose and mission of the Blue Frontier Campaign? Helvarg: The Blue Frontier Campaign works to build the seaweed (marine grassroots) constituency of citizen activists needed to protect our ocean, coasts and the communities that depend on them. We do this through actions like this spring’s Blue Vision Summit in Washington DC May 13-16 that will include the largest Capitol Hill Healthy Oceans day in history with hundreds of people letting their elected representatives know we expect them to restore the blue in our red, white and blue – in other words to follow the California model. Dedina: California is the home of the some the world’s most iconic and popular ocean animals – white sharks, gray whales, sea otters, harbor seals, bottle nose dolphins and even giant blue whales. What is your favorite California ocean animal? Helvarg: The California Sea Lions (all 300,000 of them) because they’re loud, smart, kinda messy and often rowdy, just like us humans. Know what they call a congregation of sea lions? A mob.